Cutting-edge art spaces, a youth-driven design scene, and a new generation of creative chefs are energizing this Mexican city. Book a customized hyperlocal experience at The Diplomat (from $105), a four-suite hotel in the hip Santiago barrio that fuses the best aspects of a boutique design hotel and a B&B. Instead of a formal check-in, you’ll sit by the pool sipping margaritas and snacking on cantina-style botanas like jicama sticks with chili, salt, and lime while Canadian hosts Sara DeRuiter and Neil Haapamaki help craft an itinerary for your stay, from yoga classes to excursions to their favorite secret cenotes. The courtyard-facing suites feature original pasta tiles, four-poster beds, and eclectic finds like vintage typewriters and antique globes. 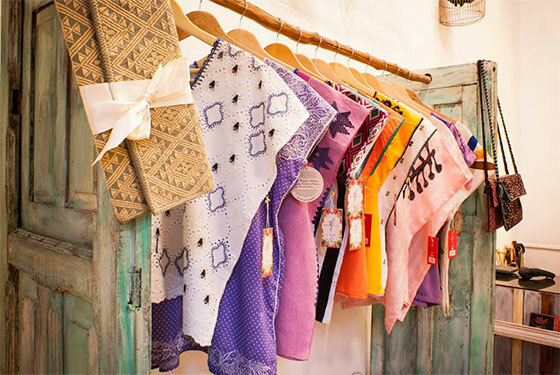 After tucking into a hearty vegetarian breakfast of huevos rancheros or French toast soaked in canela (cinnamon), rum, and Mexican vanilla, browse the newly opened Diplomat boutique, stocked with a carefully curated selection of Mexican textiles, jewelry, and crafts. 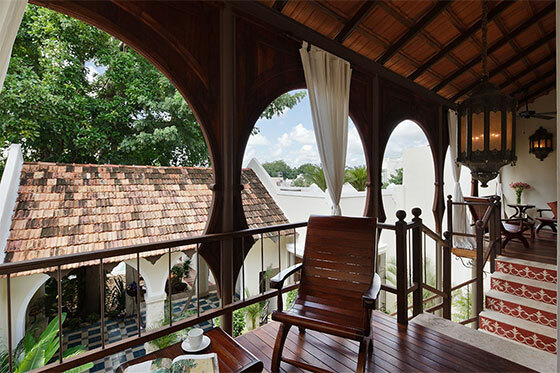 Chill on your balcony with a peaceful garden view at Casa Lecanda. Flash back to Colonial days at Casa Lecanda (from $210), set within a 19th-century ruin given a makeover in 2009. The space comprises three patios linked by an immaculately groomed tropical garden running the length of the property; the seven guest rooms sport original details like mosaic clay floors, vigas beamed ceilings, and hand-crafted local furniture, along with modern touches like walk-in rain showers (ask for a balcony room on the second floor for a tranquil view of the gardens and pool). Try your hand at Yucatecan cuisine with one of the hotel’s cooking classes, ranging from a three-hour introduction to regional cooking to a full-day jaunt including a chef-led market visit. Book ahead to snag the one and only suite at Coqui Coqui (from $360), the Mérida edition of Nicolas Malleville and Francesca Bonato’s cult hotel-perfumeria concept. Set in an exquisitely restored French Colonial mansion in the centro historico, the lodgings have a timeless belle-époque grandeur. Soak in the side-by-side rolltop claw-foot antique tubs while admiring the elaborate chandeliers, gilt mirrors, and regal velvet drapes, then head for a dip in the glass-bottomed swimming pool. At the street-level boutique, peruse resort-perfect fashion from Mexican designers like Carla Fernández along with Coqui Coqui fragrances and candles made in the nearby town of Valladolid. Deliciously authentic Italian dishes come to the Yucatán at Oliva Enoteca. 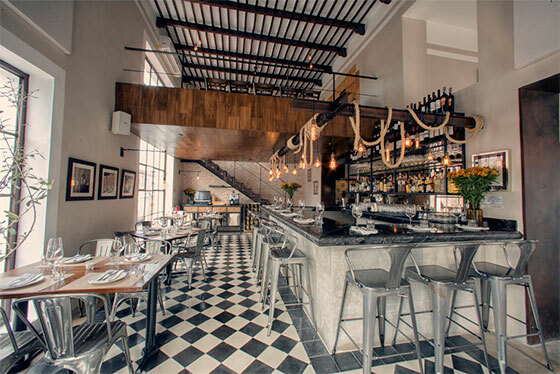 Mingle with suavely dressed locals at refined Mediterranean hot spot Oliva Enoteca. The dining room employs semi-industrial bistro tropes like Edison bulbs, rope-light fixtures, and aluminum café chairs, but the menu is classic Italian, with pastas, sauces, and breads made from scratch daily in the showy open kitchen. Try hand-rolled gnocchi with gorgonzola sauce ($10) and the trio of bruschettas ($6) with refined toppings like burrata and wild mushrooms. Dine in the newly revitalized Santa Lucia barrio at chic-but-approachable Apoala, which takes inspiration from the cuisines of Oaxaca and the Yucatán. Snag a table on the terrace and dig into dishes like zucchini blossoms stuffed with Oaxacan cheese ($8); short-rib tacos ($10); and tuna salad loaded with avocado, chiles, and lime ($9). Play your cards right and your server will show you the way to the restaurant’s not-so-secret speakeasy-style bar, hidden behind an unmarked entrance a few doors down and dispensing tequila- and mezcal-oriented cocktails. The cheery boutique Kukul, part of the fashion and design boomlet in Meridá. See why Mérida’s art scene is on the brink of taking off at the nonprofit Fundacion de Artistas, an 18th-century casona converted into a show-stopping gallery space. Inaugurated in early 2015 with a retrospective exhibition by Yucatecan artist Marcela Díaz, the foundation aims to place itself at the center of the Yucatán Peninsula’s art sphere. The gallery will showcase giants like Francisco Goya and American painter James Brown (whose retrospective runs until February 2016) along with local artists and will spearhead art-education initiatives in the Yucatan. Create your own insta-primer on the country’s contemporary-art scene with a tour through the city’s galleries. Make a short trek outside the centro historico to Galeria Casa Colon, considered one of Mérida’s best; the space exhibits notables like Ruben Arenas and Sylvia Ordoñez. Back in the centro, the Santa Ana neighborhood is home to Galeria Tataya, whose owners promote emerging and established artists from Cuba and Mexico, along with impulse-buy-worthy Mexican folk art. Don’t miss the spectacular new Gran Museo del Mundo Maya (admission $2), an architectural showpiece housing a comprehensive history of Mayan culture from ancient times to the present day. Fancy creating your own work of art? At the brand-new Centro Cultural la Cúpula, create your own masterpiece at a visual-art workshop with artist Guillermo S. Quintana, who’ll give personalized advice on how to approach your drawing, painting, or collage project; the gallery also hosts music recitals and provocative exhibitions from artists like Japanese-French painter Kimiko Yoshida. Witness first-hand the city’s youth-culture-led design boom at the trove of fresh boutiques and ateliers springing up around the centro. At cool-kid hangout Tejon Rojo, pick up hand-painted streetwear and T-shirts screen-printed with original designs riffing on Mexicana and pop culture ($15). Browse the racks at Casa del Bosque, a showroom for local designers such as Woodlov, which crafts origami-inspired jewelry hung with wooden unicorn and dinosaur pendants. Fulfill your fedora and gypsy-inspired-jewelry needs at Kukul, a year-old shop where you can pick up gems like Frida Kahlo–worthy beaded earrings ($9). 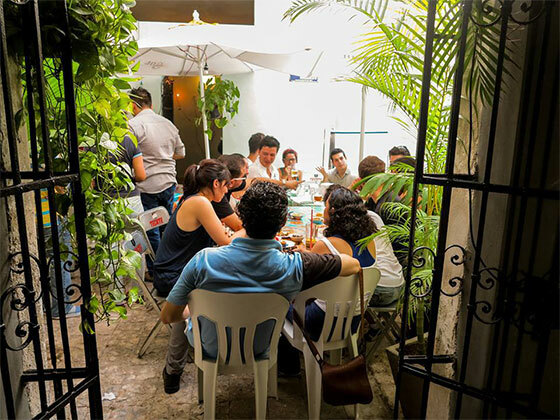 Mingle with the in-crowd at beloved cantina La Negrita. From Laureen Vonnegut, novelist and playwright, who moved to Mérida seven years ago. For salsa and dancing, La Negrita is a trendy cantina that’s fun, but I also enjoy going into any of the local cantinas (there’s one on practically every corner) to have a beer and a botana, relax, and observe the local life. If you sit at the bar, chances are you’ll be involved in a conversation sooner or later … one of the best things about Meridá is the friendliness of the Yucatecans. Taco spots are everywhere, but one of my favorites is a little unassuming place on Calle 62 called Marlin Azul. The fish and shrimp tacos are always fresh, and you can choose your own seafood from the glass containers at the front of the restaurant. I like to walk down Calle 55 to check out the shops like Color Amor carrying items from local artists. Then I’ll stop for a handmade gelato at Pola Gelato ($3 for 2 scoops); they’ve got the most innovative flavors, like chocolate-chile, dragon-fruit sorbet, lemon mint — the perfect way to cool off on a steamy afternoon. When friends come to stay, I try to steer them away from the more touristy ruins; instead, I like to drive to Calakmul, near the Guatemalan border. They are not the most intact ruins, but the walk through the jungle is gorgeous, with toucans, monkeys, orchids, ocellated turkeys. At dusk, there is a cave nearby where over 3 million bats emerge, darkening the sky as they exit for their nightly feeding. For a serene morning, head toward the beach to Progreso, a Gulf Coast resort town around a 30-minute drive from Meridá. Rent a kayak from a little place called La Ria and paddle through the tranquil mangrove trails, where you’ll see plenty of fish, frogs, and flamingos. Afterwards, chill out on the pier and have a shrimp-ceviche lunch with a cold beer. Bookmark Yucatan Living, an encyclopedic resource for both expats and visitors covering all aspects of life in the Yucatán, from a weekly rundown of local happenings and cultural events to etiquette tips and interviews with locals. Consult Best of Yucatán, the blog of Josh Ramos and John Powell (who founded upscale-vacation-rental company Urbano Rentals), for insider restaurant and cultural recommendations. Find practical info like maps and driving itineraries on Yucatán Today, which can even help facilitate pet adoptions for visitors wanting to give local strays a better life. Marcia N. and Alberto H.